Very Good. 0140274111 ALL BOOKS SHIPPED WITHIN 1 DAY OF PURCHASE! Very Good. 185613251X ALL BOOKS SHIPPED WITHIN 1 DAY OF PURCHASE! This book was a gift for my son, an Audrey Hepburn fan and has always enjoyed the film of same title. This book arrived quickly and in condition better than its description. Thank you. 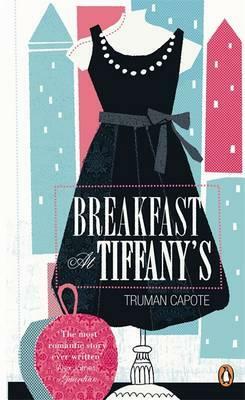 Truman Capote's wistful memory novella, BREAKFAST AT TIFFANY'S, made a fine movie with Audrey Hepburn and George Peppard, but readers may be surprised at how different the original prose work is. There was no George Peppard romantic lead -- by inference, we assume the narrator is gay. But Holly herself comes across as both more and less endearing than in the movie version. This fine piece centers on character development and takes place during World War II, lacking the "fun city" element Blake Edwards brought to the 1962 movie, but evoking a time and place that even then was fast slipping into history. Highly recommended for people who want to know Capote beyond IN COLD BLOOD or who want to expand their Capote experience. Please note that the cover depicted may not be the one you receive. Poignant, insouciant, heartbreaking dare-I-say autobiography? I believe the author saw himself as Holly Golightly . Love the book. Love the movie. Love the soundtrack. One of Capote's best-known works, this novel follows a young man's relationship with Holly Golightly, an enigmatic, loveable, independent woman who lives beside him in his flat. Capote's writing shines as he masterfully defines the very complex characters, making this one of his best fictional pieces.